DC-2018 White – Produce soft and bright white imprints on 100% cotton with this water based dye discharge product. 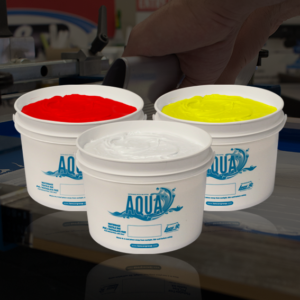 DC-2012 base – When mixed with Aqua Water Based pigment concentrates create soft and bright coloured imprints on 100% cotton. 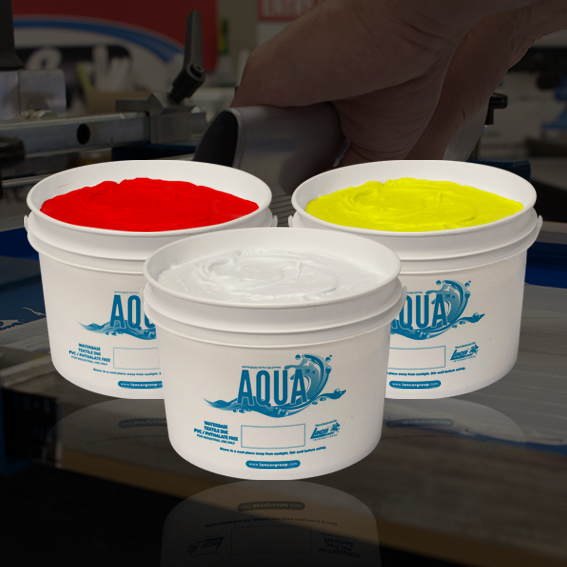 It can also be used without pigment to yield a natural colour once the discharge process has taken place. Note: All discharge products must be mixed with DC-294N Dye Discharge Agent.